The new year has us thinking about the way we spend our time and our energy. What will we do the same this year and what will we change? 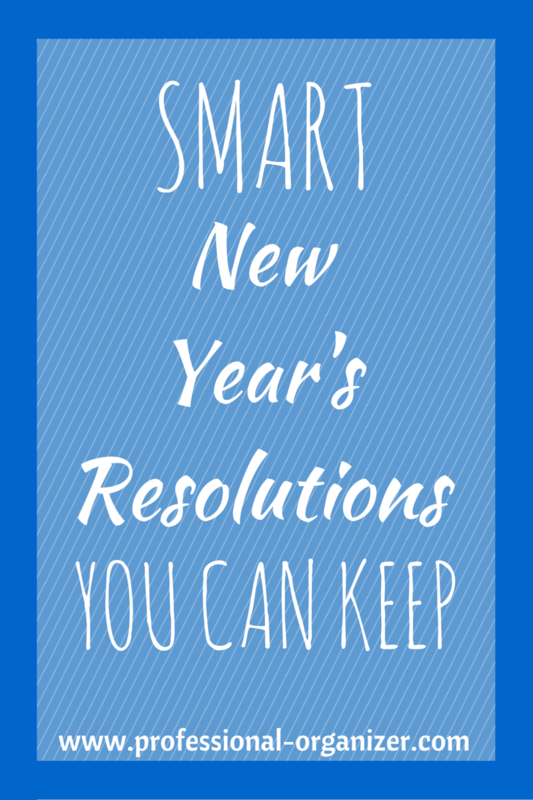 What smart New Year resolutions will be easy to keep? Each year resolutions are made and broken. It’s really about life changes, not resolutions. We want enduring change that we can keep throughout the year. Start off with big picture thinking to shape the changes you want to make. Choose just one tip to begin organizing and simplifying your life. 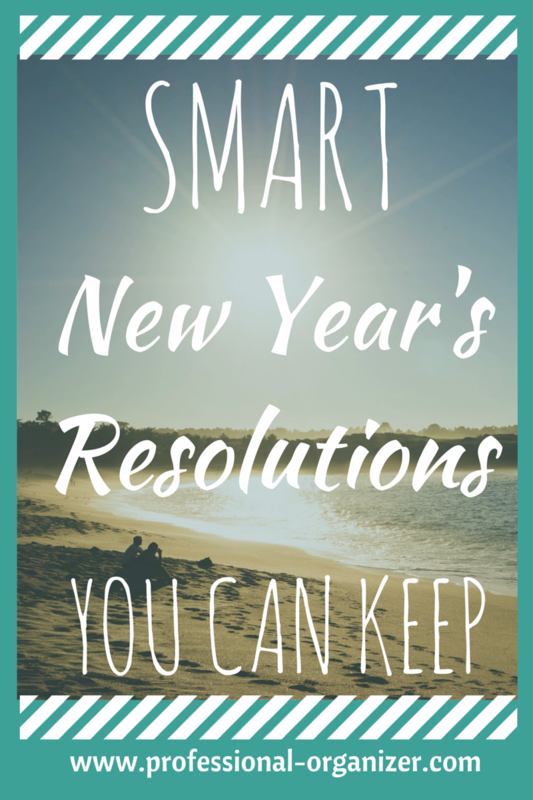 What are some smart new year’s resolutions or new year mantras to choose? Take time to make a plan. When you’re feeling overwhelmed, it’s important to take the time to stop, step back and to put yourself into planning mode. There is rarely an organizing dilemma that can’t be overcome. Once you acknowledge this, you’re well on your way to conquering whatever project is ahead of you. I love the joke, “how do you eat an elephant?” One bite at a time! Break down the problem or problem area into small sequential steps. For example, instead of trying to organize your entire bedroom closet–a very overwhelming task for many people–just start by removing five articles of clothing you no longer wear, and putting them in a Donation Bag. Or, instead of trying to get 8 tasks done on your To Do list, focus on just one or two at a time. Begin with just 15 minutes a day in a small area. Baby steps help you start a project and complete it. Do it or delegate it. Recognize your strengths and weaknesses, and work from your strengths. No matter the organizing challenge or routine, there are just some things that we are not going to accomplish. Choose what you are best at and then find someone to assist you as a partner to get started, help along the way or complete the task at hand. Simplify your life and your schedule to feel balanced and in control. We take on many different roles and tasks that lead to over commitment and stress. The concept of “less is more” extends to our belongings and schedule. We need a place for everything in our home or office and a time for a routine as well. When we prioritize and stay in touch with these priorities, we feel great about ourselves and our homes. 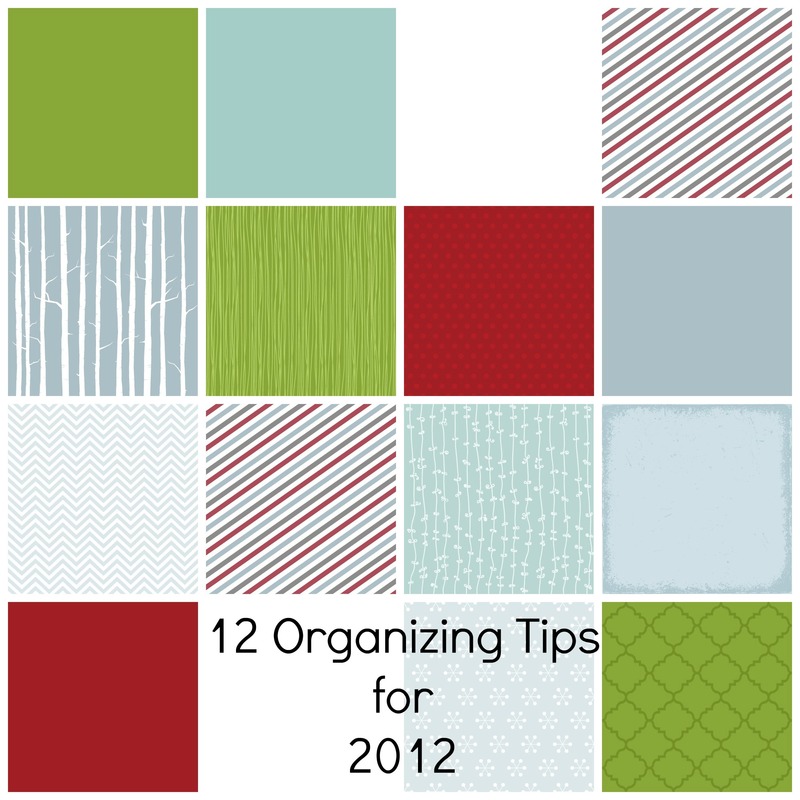 Make this your most organized year ever! Join my newsletter here. 1. Get a great calendar. Just one! 2. Find the best way to do your to do list. It can be paper, computer or on your phone. 3. Organize your purse with zippy cases for makeup, receipts, and other categories. 4. Organize your car by dumping the trash and papers each time you get gas. 5. Go through your mail every day. Just for 5 minutes and triage the papers. 6. Get ready the night before with your bags by the back door. 7. Make a date with your calendar and lists for Weekly Planning, a time to review what is coming up next week, consolidate your lists, and make a plan. 8. Go through your make up drawer and keep what you use daily easy to access. 9. Go through your email three times a day, making decisions, delegating and deleting. 10. Establish a weekly meeting at work and home to communicate the week’s plan. 11. Find partners to help you complete and work through the tough stuff, whatever that may be. 12. Prioritize your goals for 2012. We can’t do it all, all the time. Decide what is most important this year for your time and energy. What are your 12 for 12?